It’s hard to feel like Gmail isn’t due a major overhaul. Many of Google’s other productivity apps—such as Calendar, News, and Keep—have been redesigned in the last 18 months. Surely Gmail is next? Here are some useful search tricks every Gmail power user should know. Type size: in the search box followed by a number of bytes to find emails with massive files attached. It’s useful if you’re getting near your storage allowance. Stop scrolling through emails from five years ago just to find your favorite holiday snap. Instead, type filetype: followed by one of the common image formats JPEG, GIF, or PNG? Image Filetypes Explained and Tested JPEG, GIF, or PNG? Image Filetypes Explained and Tested Do you know the differences between JPEGs, GIFs, PNGs, and other image filetypes? Do you know when you should use one instead of the other? Fear not, MakeUseOf explains everything! Read More (for example, PNG or JPEG). Have you ever tried scrolling back to emails from last year? How about from three years ago? It takes ages. Instead, use after:[date], before:[date], older:[date], or newer:[date] to find messages from a certain timeframe. Google automatically adds an Important flag to emails from people you frequently contact. To find those emails in your inbox, type is:important and hit Enter. All the fluff will be filtered out. Struggling to find that single six-month-old email but you can remember the sender’s name? Type from: followed by the person’s name and you’ll have it on your screen in seconds. All the regular search operators that you use on Google every day also work in Gmail. We’ve covered some of the most useful 10 Advanced Online Searches That Make the Web a Lot Easier 10 Advanced Online Searches That Make the Web a Lot Easier Advanced search features in popular search engines help you focus your search. Dig into these 10 advanced search tools that accompany these popular web apps. Read More elsewhere on the site. 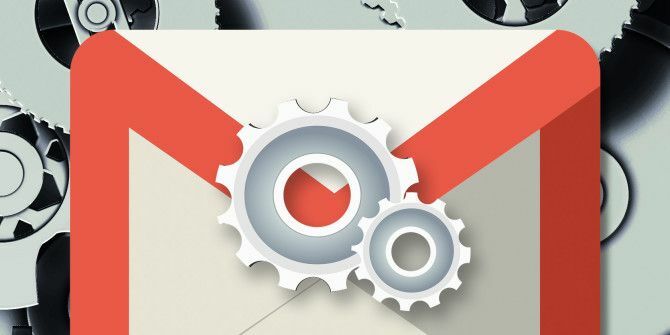 "Google automatically adds an Important flag to emails from people you frequently contact." A dumb assumption on Google's part. That's like saying that just because you talk to someone frequently, anything they say is Important. On the contrary. Most of that talking is trivial. Important messages come infrequently. Google should leave the marking/labeling of messages to the users, not make assumptions. I've been trying to find all mails with labels. I haven't found a solution yet.